Put Some Fun In Your Rockets! At Madcow Rocketry, our goal is to offer you a craftsman quality kit that is truly enjoyable to build. Our kits come complete with everything you need to build and fly your model except the glue and paint (and a motor of course). Grab some 5 minute epoxy and most of our kits can literally be built and flown at the flying field the same day! Our Madcow high quality kits start with precision laser cut plywood fins and centering rings. Our fins and rings consistently fit nice and snug. This keeps your build sessions fun and free of frustration. The recovery system leaves nothing more to buy here. All of our Madcow kits come complete with a long lasting Rip-Stop Nylon Chute, a Flame-Proof Parachute Blast Protector and Kevlar (2.6″ and smaller) or Tubular Nylon (4″ and larger) shock cord (recovery system optional on some kits to save you money). Our Flame-Proof Parachute Blast Protectors means your parachute is safe and sound and no more cleaning up all that pesky chute wadding after each flight. We’ve made Thru-The-Wall fins a snap with our pre-slotted body tubes. No more cutting out body tube wrappers to pencil cutting lines on the body tube. No more slipped knife blade marks spiraling away from the fin slots. Just a nice clean pre-cut slot for your fins. All of this makes for a complete kit that is easy to build and fun to fly. 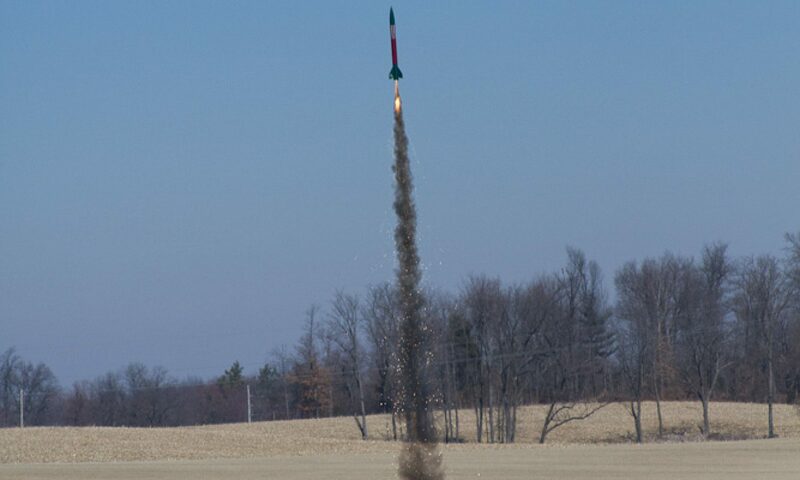 Take your next step into high power rocketry with us. We believe you won’t be disappointed.